Solar Panels are now available from hundreds of different manufacturers using different technologies like crystalline Silicion, CIGs and Cd-Te. The solar panel’s efficiency also varies a lot, depending on the solar panel manufacturer and the technology used. The cost of the solar panel can also vary a lot depending on the retailer, size of the solar panel, technology and the brand. This makes buying solar panels a confusing problem, though most residential and commercial buyers are not involved leaving the decision to the solar installer/EPC company. SunPower is a US company which makes the most efficient solar panels using its monocrystalline solar cell technology which gives efficiency of more than 24%. 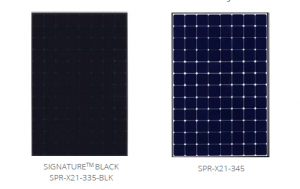 The company sells black solar panels with efficiency of 19-22%. The company is a solar system integrator and developer, as well as a builder of some of the largest solar farms in the US. The company benefits from the leadership of the French Oil Giant Total. 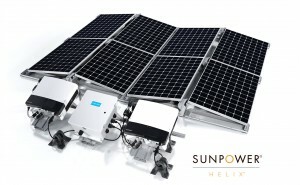 SunPower operates in all the main segments of the market and has reputation for selling some of the highest quality solar panels in the country. SunPower sells the highest efficiency solar panels made from its record breaking monocrystalline solar cells which have more than 24% efficiency. SunPower solar panels deliver high efficiency solar technology, utilizing SunPower Maxeon patented technology with back-contact solar cells. 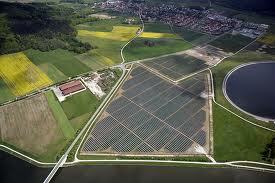 The company will design solar panels to serve all the global markets at large. The higher efficiency panels will serve markets like USA and Japan, whereas the panels with efficiency ranging between 19-20% will serve the other markets. 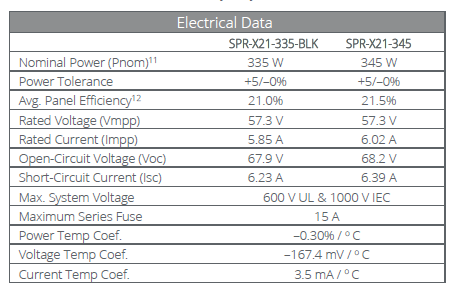 SunPower X-Series solar panels deliver 44% more power per panel and are more than 21% efficient. Ideal for partially shady and hot rooftop temperatures conditions. It utilizes 96 monocrystalline Maxeon cell technology, built on a copper base and is aesthetically pleasing. 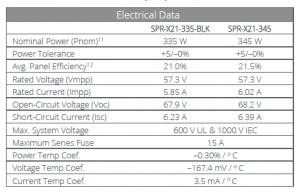 SunPower E-Series solar panels deliver 36% more power per panel and are more than 20% efficient. Since these panels generate more power per panel, they are typically used where space is a constraint. They are designed using 96 monocrystalline Maxeon cell technology. They are built using all-black solar cells and anti-reflective glass. SunPower offers financing options to its residential customers with zero to very less down payments. The company launched its residential solution called Equinox during the first quarter of 2016 and it is gradually gaining traction. 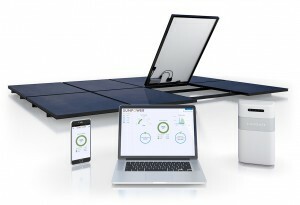 It also enables monitoring the solar system and thus enabling more savings. It comes with built-in microinverters hidden behind each panel. SunPower solar solutions can be customized for usage in businesses, government agencies and educational institutions of all sizes small, medium and large scale. The company launched its fully integrated commercial solution Helix platform. It claims to have 2.5 times faster installation and is built using the Maxeon cell technology. It is made up of the highest efficient commercial panels, with an expected useful life of 40 years. It comes with EnergyLink software to manage energy cost savings. Helix comes with a 25 year combined power and product warranty. SunPower gives a 25-year power warranty and a 10-year product warranty. 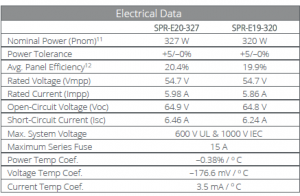 Solar cells efficiency can vary from 18% to 24% for the normal monocrystalline silicon technology. Note solar cell manufacturers are constantly improving efficiency in order to lower their costs and get ahead in this competitive solar industry. 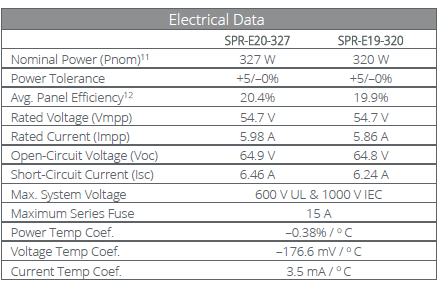 SunPower makes the highest efficiency crystalline solar cells on a commercial scale. SunPower solar panel prices are priced at a premium to the normal crystalline solar panels because the efficiency of the solar cells made by SunPower are higher. Also it uses monocrystalline solar technology which costs more to produce. SunPower generates almost 20-30% higher power per unit area, which makes it ideal for space constrained solar installations. For residential applications which needs good aesthetics as well, the black solar panels made by SunPower are a good fit. Solar panels these days are available at around 45 cents/watt (wholesale price) or 55 cents/watt (retail price). Since SunPower solar panels are more efficient and technologically more advanced you can buy it for around 65-70 cents/watt.